"Chris 'Bilo' Bilardello is one of the first people I send new business clients to meet. Business owners need an experienced professional who focuses on the multiple insurance needs a company may have, and Bilo is that person. His professional and honest advise has saved me and my clients money while providing high quality insurance protection." "I've been a policy holder with Chris's agency for the past 3 years.... 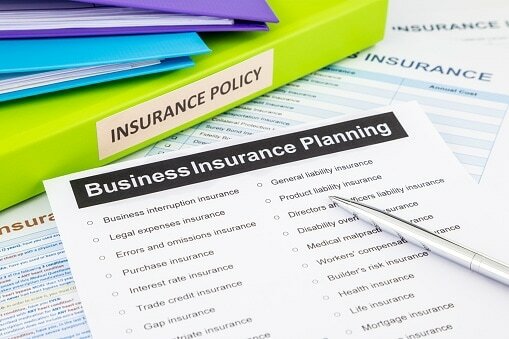 They are well informed about your business as it pertains to your insurance needs. I will be this agency again next year." "​Working with Chris Bilardello for the last several years has been a pleasure. He consistently provides highly responsive and professional service, is extremely knowledgeable in his field, is very personable in his approach, and excels with regard to attention to detail. There is no doubt that both the current needs of our business and our long term objectives top his list as he ensures we are prepared for the unexpected. I am fully confident that we are protected well and in very good hands with Mr. Bilardello manning the helm." "I have personally used Chris and his company's service, but I also happily recommend him to business owners on a regular basis. I know that he is detail oriented, client-centric and goes out of his way to give his clients the best possible value for their money. I heartily recommend Chris and know you will apprecial his service too. " "​Chris provided our company with insurance options. He has excellent knowledge of the insurance industry and has on many occasions helped us navigate the best coverage at the lowest price." Elk Brand Manufacturing Company, Inc.
​"Chris has earned my highest respect over the course of a nearly 5 year professional relationship and binding dozens of complex business, property and GL policies. If you want to work with someone who will exceed every expectation, be efficient with your time and budget, and leave you with ultimate satisfaction in a job well done, I encourage you to work with Chris and his team at Prime Business Insurance Group." "Chris is very professional yet personable, and always has the best interest for our company in mind." ​"​Chris does excellent work and is very punctual. He is a very reliable and trustworthy colleague who goes above and beyond to take care of our company insurance needs." "Chris is always helpful with our needs and has always gone above and beyond to make sure that we have the insurance coverage that we need. All while getting us the best prices. I would recommend Chris for your insurance needs." "Chris knows what he is talking about and follows thru with his stated plans. He is sympathetic to changes in my business which, at times, requires reworking of our purchased products and coverages." "​Chris is a problem solver at heart and a person who puts doing the right thing for clients before all else. Over the 8 years we have worked together, Chris's drive, loyalty, leadership and work ethic stand out to me as his paramount qualities." ​"​I've known Chris for a long time and his work ethic and drive continue to inspire me. He is very dedicated to any task at hand and his competitive spirit makes him a highly valuable sales professional."